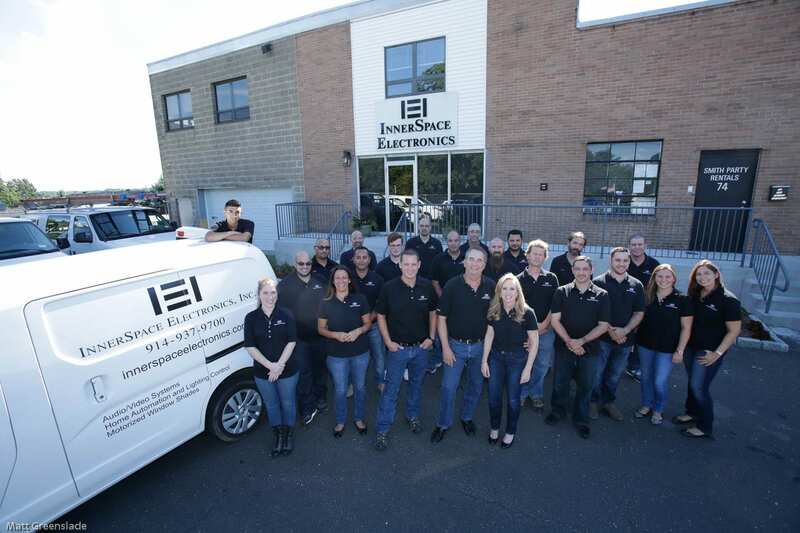 For over 25 years, discerning clients, architects and building professionals have trusted InnerSpace Electronics, Inc. to simplify the complex technology in your home: Audio/Visual, Lighting and shading systems, HVAC, Networks, Security cameras and Home Theater design are our core specialties. As a Platinum-level Savant and Diamond-level Lutron dealerships complimenting our full engineering and CAD department in-house to provide expert, efficient service. Numerous industry awards and unwavering commitment to high client satisfaction have made us a nationally-recognized and respected leader in home technology integration. Our meticulous, organized and thoughtful approach to home automation and home theater design is appreciated by building professionals and clients alike. We believe that understanding a client’s needs, tastes and lifestyle are key to helping us build systems that are truly tailored to the end user. As part of your team of experts, the full depth of our knowledge and experience is made available to assist in each step of what can often be a complicated and intimidating process. We work in concert with other design professionals to ensure a smooth process. Our technicians and design staff are constantly informed and trained in the latest advancements in technology and best practices in our fast-changing business. As a long-standing member of the Custom Electronic Design & Installation Association (CEDIA), we benefit from the finest and most demanding training and certification available. Our brand partners are carefully chosen to deliver a blend of performance and value that we can scale into projects of various sizes. We stand behind our workmanship with attentive and courteous customer service. Commitment to our client relationships has gained us notoriety and trust, which has earned us high repeat business and excellent customer ratings. We continue to honor our relationships with our customers by responding quickly to issues, and offering year-round after-hours service and support. The entire staff is single-minded in their goal to ensure full client satisfaction. With over thirty years of experience in designing, selling, and installing commercial and residential systems, Barry is a respected figure and pioneer in the home automation and systems integration industry. Barry has been a member of CEDIA (Custom Electronics Design Installation Association) since 1995, a member of AIA (American Institute of Architects) in both New York and Connecticut, and was selected as an honored member of the Who’s Who for Executives and Professionals. Under Barry’s management, Innerspace is recognized as a Lutron Diamond Dealer, and a Savant Systems Platinum Dealer; achieving both companies highest accolade. He has contributed interviews and articles to numerous newspapers and magazines, and has been a guest speaker at a number of trade shows and events in his capacity as an influential industry expert. Before starting IEI in 1988 with his wife, Andrea, Barry was general manager for a systems integration firm in New York City. Prior to this, he was Assistant to the VP of Retail Operations at Harvey Electronics. Barry lives in Westchester New York with his wife and two daughters. Besides his family, and running his company, you can find Barry sailing the Northeast waters. Andrea manages the financial, marketing, sales and administration departments for Innerspace. 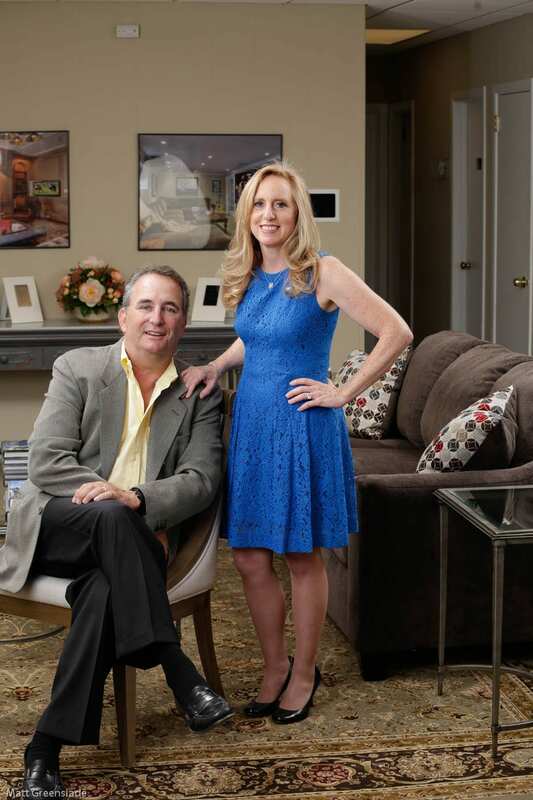 By combining her formidable sales and marketing background with Barry’s production and industry knowledge, they have shaped and grown Innerspace into a leading home automation systems integration firm. She is an owner of the business and co-founded the company in 1988. Most recently, Andrea has been honored by CE Magazine as a Leading Woman in Technology. She also spearheaded InnerSpace’s participation in the Elf Foundation, a charity that designs and builds entertainment theaters, free of charge for children’s hospitals, autism treatment and hospice centers for the terminally ill. She is regularly interviewed for magazines and industry publications. For eight years prior to incorporating InnerSpace Electronics, Andrea was a systems engineer and then marketing representative for IBM with specialties in telecommunication, mainframe applications and personal computer systems. Andrea enjoys sailing and skiing in her spare time.